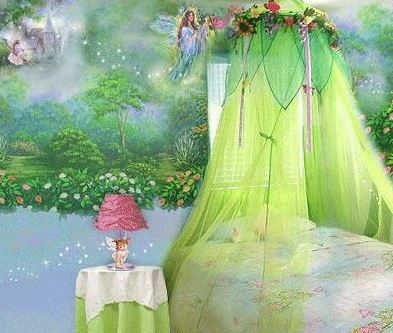 Ah, we’ve all been there: your little princess has decided she is a fairy now, and you are ready to give her room a makeover. 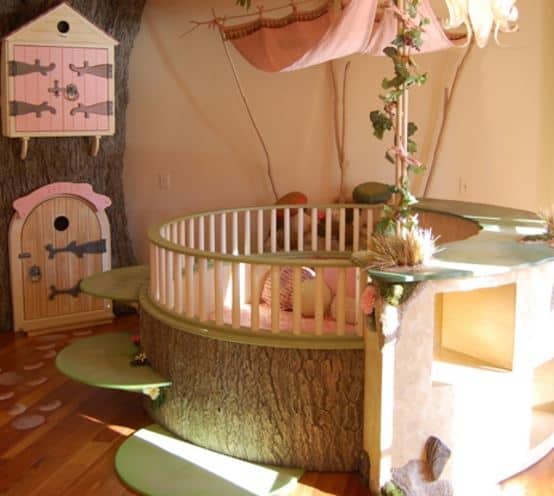 How do you turn these four walls into the ultimate fairy hive for your little girl to play in? 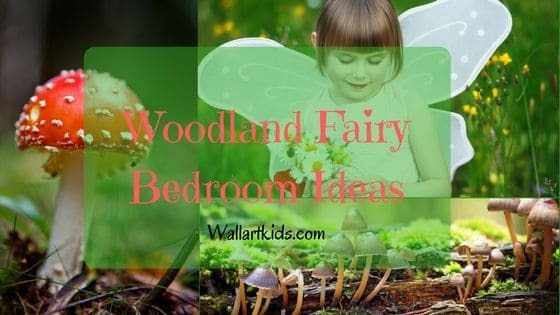 In this post, I will share some ideas to decorate a woodland fairy bedroom, and examples of products that will help bring these ideas to life. First of all, I will just share with you some general inspiration for your themed bedroom, with some completed rooms that I’ve discovered and then we’ll move on to some products that you can pick up yourself. 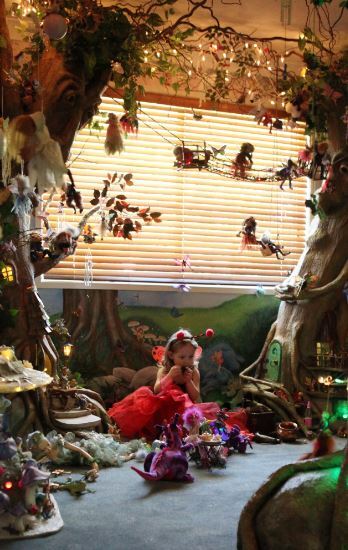 This super lucky little girl has a super amazing dad – who actually built her a tree within her dream bedroom. You can see all the details of how this room came together, as well as some amazing pictures via the link above. The project did cost over $4,000 – so, it’s not a cheap option, but it’s certainly a spectacular one. Another extravagant version – but you can see how you could tone this down on a smaller scale. Perhaps with a painted mural on the wall, fairy lights and plenty of fairy toys that you could attach to little swings or faux branches. Another custom made design, complete with fairy doors in a tree-like wall to the side. You could have a go at creating your own fairy door though… check out this tutorial for a scaled down version. 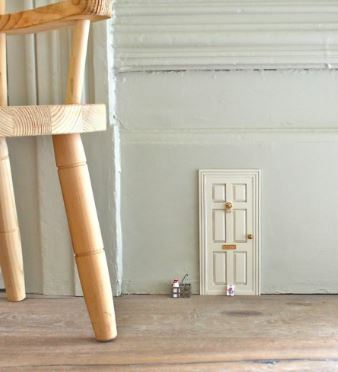 You can see how you can make your own Fairy door here! If DIY isn’t your thing, you could use wall stickers or or a wall mural to create a fairy-like world on the walls and a pretty bed canopy like the one above, with faux flower detailing around the top – or fairy lights, as we’ll see more below. We all know that the focal point of the bedroom is the bed itself, so finding ways to make the bed fairy-friendly is a must. Adding a canopy is a great way to start. 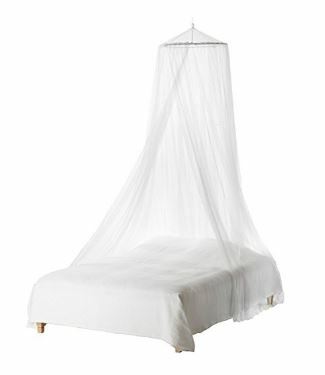 Just a simple white mosquito net canopy over the top of the bed will make it feel more magical. Try a simple double round canopy like the one above – simple, easily customized, and ready to bring the magic. Add some twinkling fairy lights to really make the bed feel like a fairy getaway. 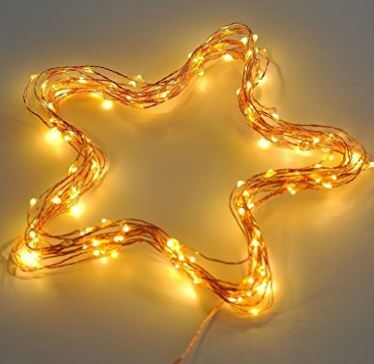 A great idea, is to pick twinkle lights that are on a copper wire, (see here) that will make it easy to wrap around the canopy’s hoop – or winded elsewhere within the room. The actual bedding presents a plethora of options. Rather than just going with themed sheets, you could keep it simple and go for plain – matching the sheets to the overall colours in the room and let the other accessories speak for themselves. 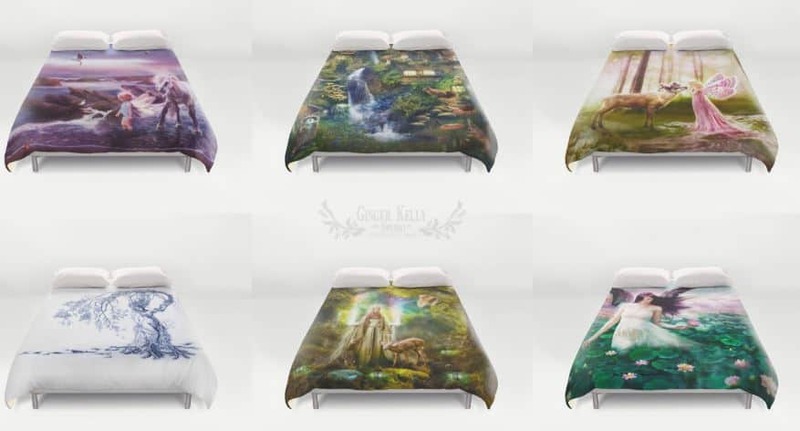 On the other hand, these custom fantasy duvets will make your daughter feel like she is transported to another world every time she enters her room. 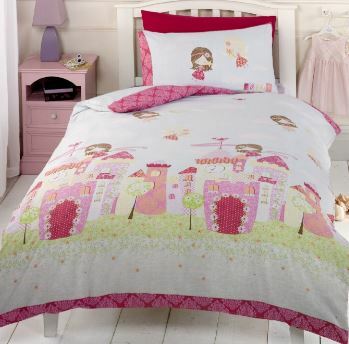 There are multiple designs, including some Disney Fairy tinkerbell bedding. This is gorgeous Fairy inspired bedset would be perfect for our friendly, fairies-welcome, woodland home. This duvet cover can be shipped wordwide from the USA and is made to order. 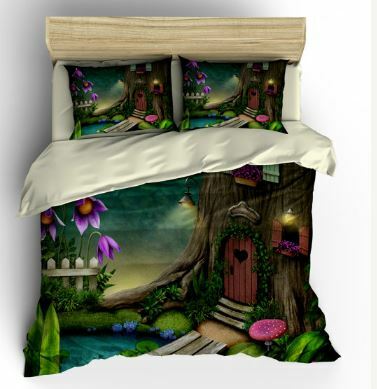 Or what about these gorgeous, realistic Fairy inspired duvet sets above? Don’t you love the one with a fairy stroking a deer? Luckily, these sets can also be shipped worldwide from the USA! Now we need to get the walls to match the rest of this new magical space. The woodland fairy theme is so broad that the color of the walls probably doesn’t need to change – unless you want to go for a custom painted mural painting. It is perfect if they are on the brown/green spectrum to match the woodland vibe, but anything pink or purple will be perfect for the fairies too. Adding some detail, like a tree decal, will really make them pop. These birch trees are an excellent example. They can be put behind the bed, in the corner, or even around the closet. My personal recommendation is put them around the door of the bedroom; your daughter will feel like she is going through the woods every time she leaves her room! The above set also comes with little owls and bird houses. But what about Fairies!? You have to have fairies within this room…. Put little Fairy decals like this throughout the room, only in the trees, or to outline the bedroom door. Either way, they are sure to not only add magic, but of course emphasize the fairy flare of the whole room. If you are the creative type, another option to spice up the trees is to try adding some small shelves to look like branches; these will be perfect for storing books or decorations. Speaking of decorations, finding the perfect trinkets to sprinkle around the room is the last step. We don’t want to overdo it, but using these decorations wisely will really bring the whole room together. 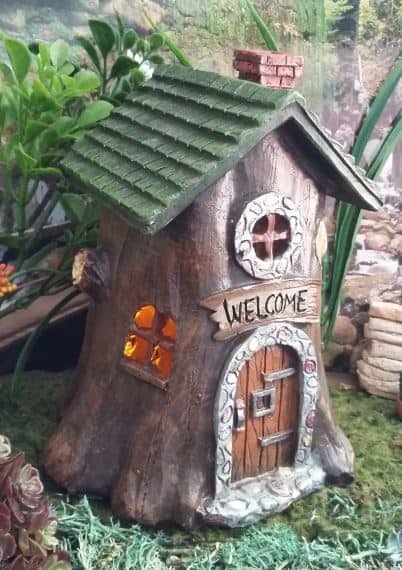 For example, this fairy hut pictured below, would be perfect on a dresser or in a reading nook, serving as the doorway from the fairy land into the room. It is small, adorable, and could later be used in your home garden. This would be perfect on the tree shelves around the front door! 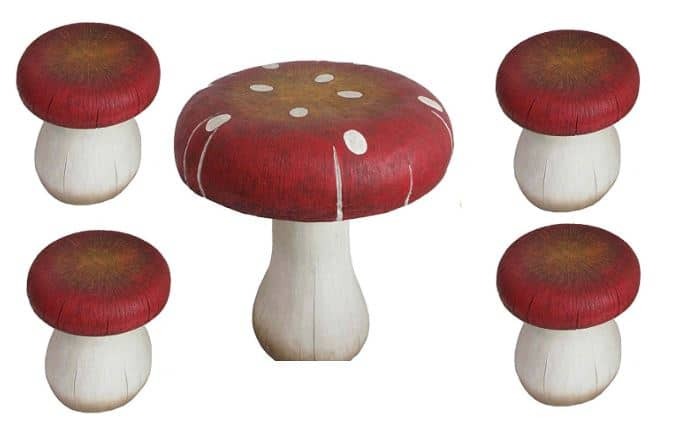 This adorable Toadstool table would look lovely in the corner of the room and,while not the most practical table in the world, it certainly is perfect for this theme and will make your daughter feel like she is right in the middle of the woods. It comes with four small stools, so great for when your daughter has friends over to visit and they can have secret Fairy meetings! Putting a green shaggy rug like this one underneath the toadstool table adds just the right amount of detailed flair. 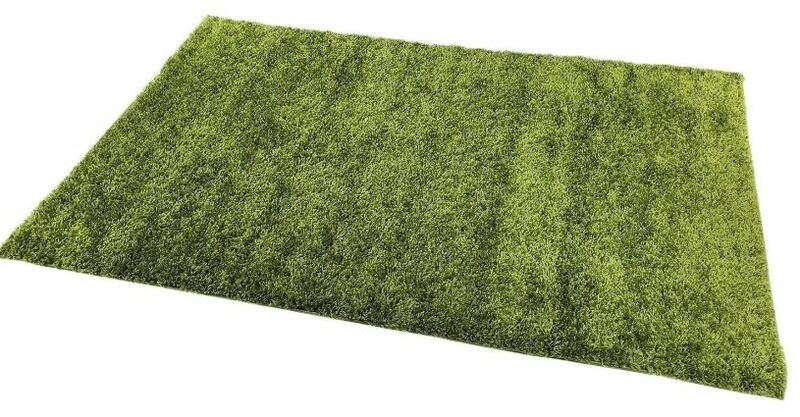 The rug will look just like grass, furthering the illusion that your daughter is really in the fairy forest when she sits at this fun table. 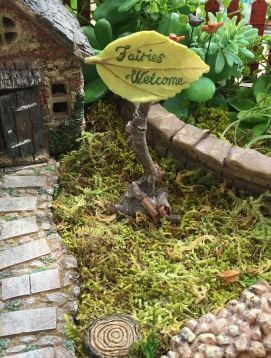 I also love this “Fairies Welcome,” sign – originally designed for a garden, will seal the deal by declaring the room as a fairy haven. This could be used on our wooden tree shelves, near the front door, or even by our toadstool table. It makes clear the goal of the room for anyone missing it and reminds your daughter of the magic and imagination you are encouraging her to discover. Well, you have to have to be able to see some of your fairies at night, right? 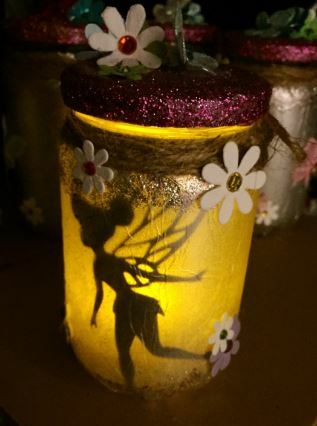 An adorable night-light fairy jar, decorated with little flowers, glitter and butterflies. A battery powered tea light is included! 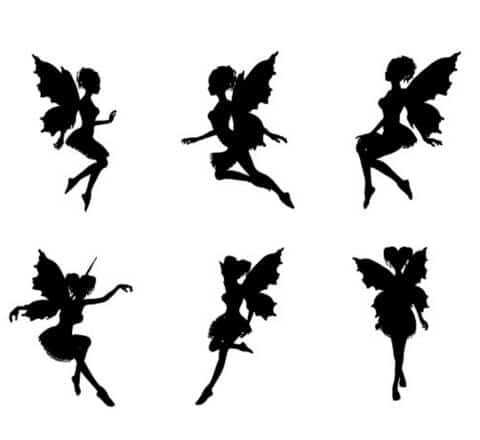 Click here to catch your own fairy night-light. One more thing! Fairy Dust Magic! 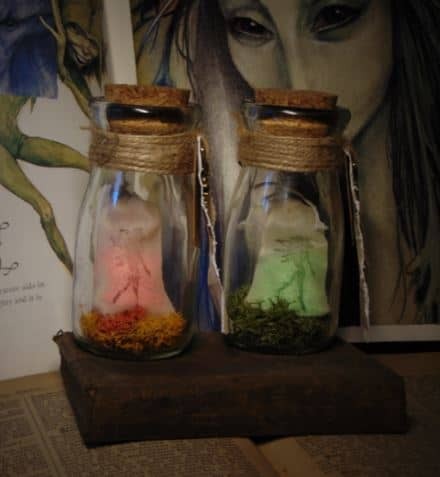 These glowing Fairy Dust Jars are sure to add even more mystical magic – each jar comes with a bag of glowing fairy dust and comes in either orange or green. 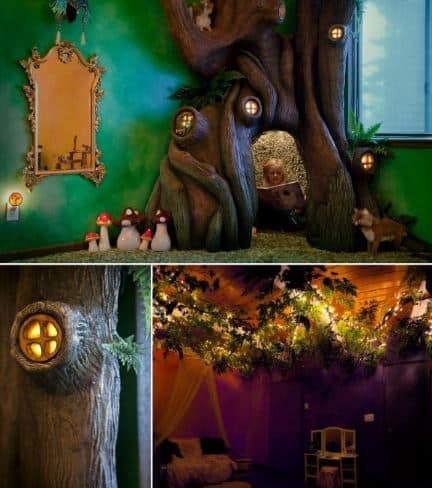 So, that about concludes my Woodland Fairy Bedroom Ideas post! 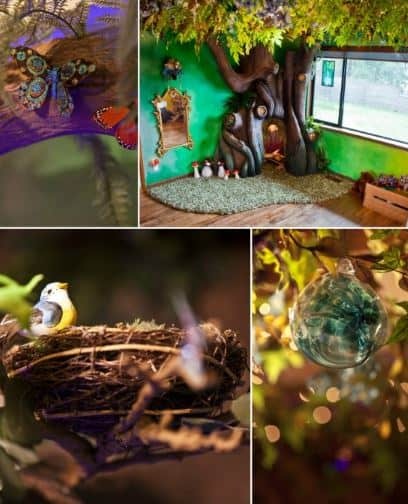 Those are just a small bunch of fun, creative, and easy ways to transform your daughter’s room into the perfect woodland fairy oasis. Getting the details right is crucial, and creating a room like this will encourage your daughter to explore the kind of imagination we adults only wish we could channel again. Let me know your favorite products from the list and any tips you have from creating your own fairy paradise! Beautiful! I love the details but they are so time consuming to do. There’s also the maintenance and clean up to contend with. But I could accept it better if I saw this as a temporary thing to have in my child’s room, especially if they are easy to take off, like wall stickers. Hey regina – yes wall stickers are definitely a good thing, because they’re so easy to apply and so easy to remove!! Agreed, doing a bit decorating job can be a major undertaking – but there are definitely smaller scale things we can do instead. Wow!! This bedroom is unreal. The tree feature is just wonderful. 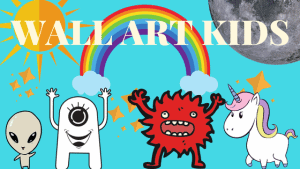 I love themed kids bedroom I think they really encourage young imaginations and really help children relax especially at bedtime. We recently decorated my toddlers room and we went for his favourite theme (planes!) he is crazy for anything that flys, and we found the perfect themed kid bed in the form of a helicopter!! Hi thanks eva – definitely, I completely agree! Thanks for your comment.